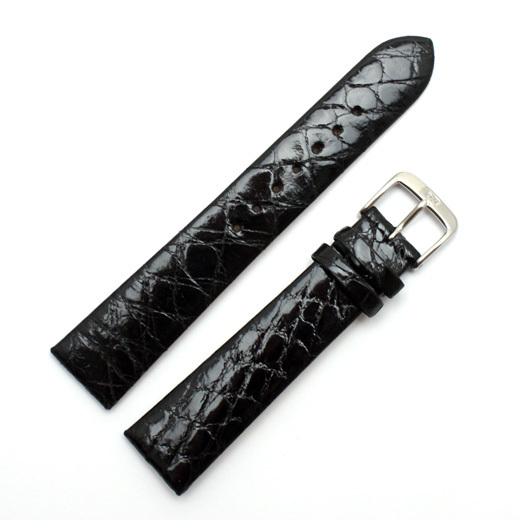 Finest Quality, hand made in Germany with a great attention to detail, this is a high gloss finish, unstitched black watch strap is made from genuine crocodile skin. Very soft and comfortable to wear, this great looking strap has leather Aero lining and a loop anchor for extra comfort. 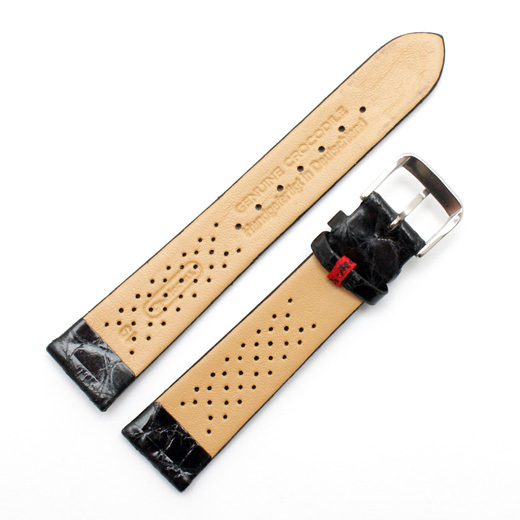 This strap will fit any watch where the distance between the lugs is 16mm, 17mm, 18mm, 19mm or 20mm (depending on the strap you buy). Like all of our products, it is brand new and in stock in the UK, ready for our super fast shipping. Not exactly what you are looking for? 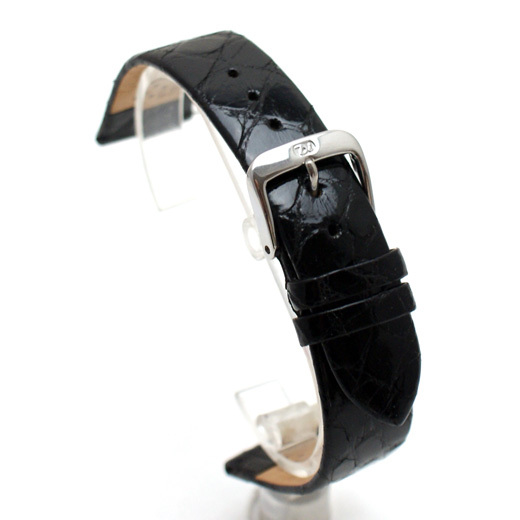 We have a wide range, see the crocodile skin watch strap gallery for our other options.